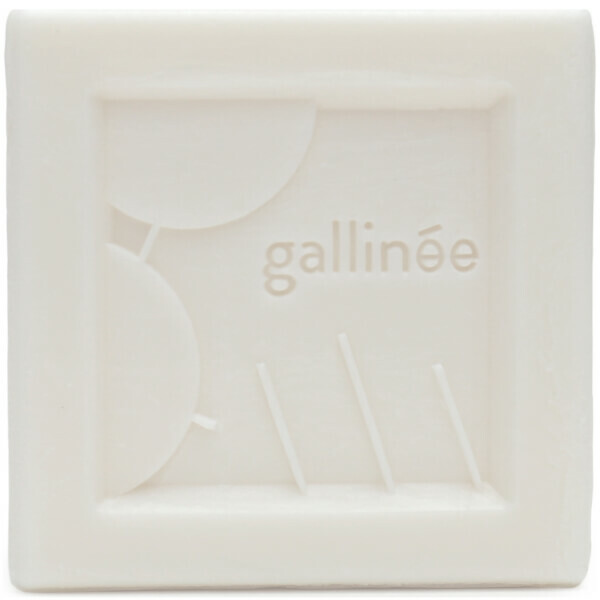 Gallinée La Culture Cleansing Bar is a soap-free formula that works to cleanse, soothe and nourish from top to toe. Suitable for use on the face and body, the cleansing bar gently eliminates impurities, whilst respecting the skin's natural pH levels. Utilises a patented complex of Prebiotics and Lactic Acid to soften and refine skin, without over-drying. 75% natural origin ingredients. Not tested on animals. Free from colourants, parabens, mineral oils, silicones and microbeads. Ideal for face and body. Massage into damp skin and rinse. Isodium Lauryl Sulfosuccinate*, Maltodextrin*, Sodium Cocoyl Isethionate *, Stearic Acid*, Aqua (Water)*, Hydrogenated Castor Oil*, Cetyl Alcohol*, Alpha-Glucan Oligosaccharide*, Inulin*, Lactic Acid*, Arginine*, Perfume (Fragrance), Citric Acid*, Titanium Dioxide*, Limonene.